If you are new to Guatemala, on a budget, or just having trouble coming up with unique ideas for gifts this holiday season, do not fret! 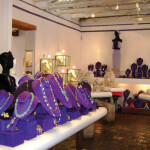 Here are a few suggestions of what is available to you from some of the merchants in Antigua. If there’s someone on your shopping list that enjoys setting a lovely table for the holidays (or any other day of the year for that matter) check out Colibrí. They have an extensive assortment of scarves, table runners, napkins, coasters, and placemats sure to please every decorating style. 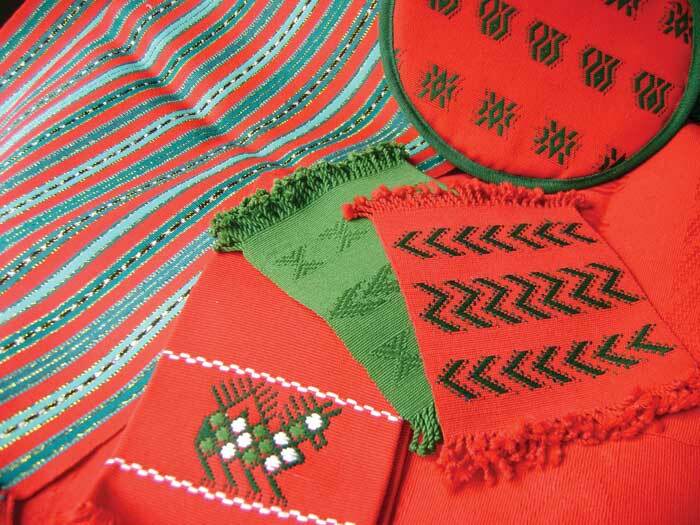 In addition to their usual array of vibrant textiles, during the holiday shopping season they will be carrying Christmas-themed items such as towels, tablecloths, napkins and even tortilla warmers. Their prices will also please every budget with items ranging from Q38 to Q1,150. 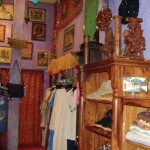 For an eclectic selection of incense, clothes and jewelry, visit D’Jinn. 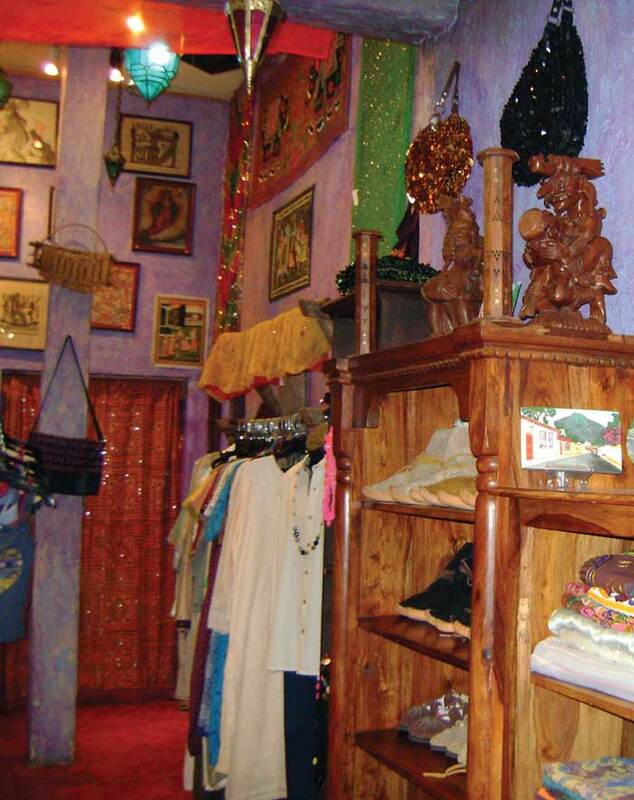 Their store is a colorful and calm oasis located on the popular Calle del Arco. The inventory is constantly being updated with fashionable and funky items such as dresses, skirts, blouses, purses and scarves. Be sure to check out their amazing selection of pants made out of typical indigenous fabrics. Prices at D’Jinn range from a mere Q40 up to Q3,000. Looking for original artwork? El Sol Maya sells paintings by Guatemalan artist Mario Lanz. His paintings feature the woman on the label for Quetzalteca-Especial rum. He has painted her as a Guatemalan version of other characters such as Supergirl, Da Vinci’s Mona Lisa, and Rodin’s The Thinker, just to name a few. They also sell bags of all sizes made of traditional fabrics and featuring Lanz’s images. Bags start at Q200, paintings are Q600 and up. 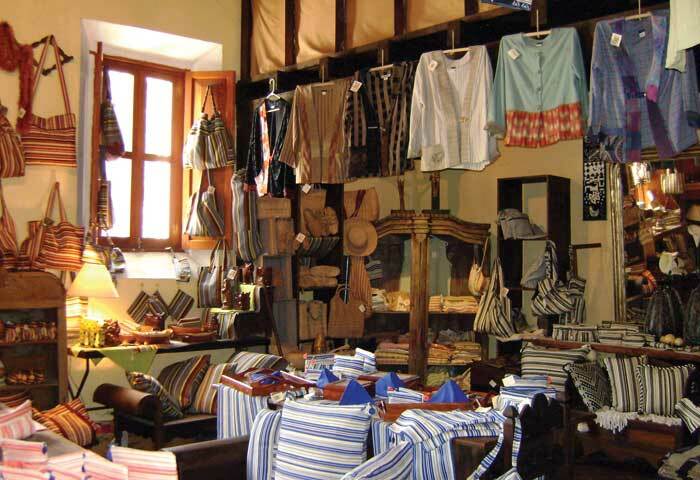 If you have some time on your hands and would like to wander around a store with lots of space and an inventory of well over a million items (give or take) visit Casa de los Gigantes. The word “gigantic” is in their name for a reason—you name it, they probably have it. 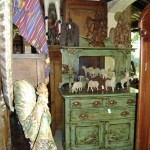 They offer room after room of unique and fun items such as nativity sets, pottery, candles, ornaments, statues, dishes —including one huge room dedicated to nothing but textiles. Overwhelming? Yes, but in a good way. Prices start at Q25. And here’s a fun fact—according to Siggy, the owner of Casa de los Gigantes, if you were on actor Matthew McConaughey’s Christmas list a couple years ago, odds are the teak cutting board you got from him came from her store. So, let’s say the sky’s the limit this holiday season. (If so, please add me to your shopping list.) How about giving a pool table to that special someone this year? Visit Liverpool and check out their fine selection of pool, foosball, poker and yes, even ping pong tables. If you bring your room measurements, they can help you decide what size table will work the best for your space. They also carry all of the accessories you’ll need to make the game room the most fun place in your house. Prices at Liverpool range from Q2,200 to upwards of Q10,000. For an educational shopping experience, check out Casa Del Tejido, a store and museum of indigenous textiles run completely by indigenous people. They will be happy to give you a tour of their museum and explain the significance of the different traditional fabrics, clothing and head wear from each region. You can also see a weaving demonstration and visit room after room of colorful textiles. In addition to clothing, purses, scarves, hats and masks, they sell chocolate and coffee so there’s something for everyone and every budget. 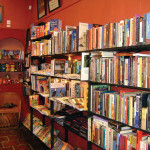 La Casa del Conde carries all types of new books and maps, as well as travel guides for the Central American region. If there’s someone on your list who is becoming bilingual, take a look at their selection of Spanish textbooks. And for those sending gifts back home, why not show people how beautiful our town is by giving them an Antigua photo book for Q145? 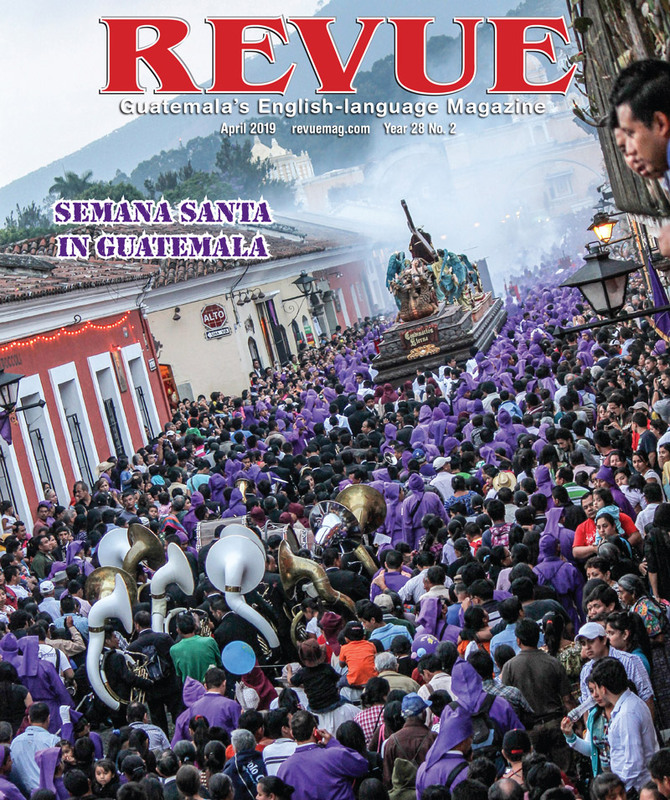 It includes pictures of Antigua taken by expert photographer Thor Janson, who was featured in the November 2010 edition of REVUE. Want to buy something with a little sparkle to it? Joyería del Ángel is a lovely, bright and inviting store—good vibes abound here. Ivonne, the owner, is outgoing and fun—she would love to show you around and discuss their one-of-a-kind designs. 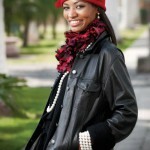 In addition to jewelry, they also sell sunglasses, purses and beautiful French hats and scarves. They believe having fun while shopping is important, so every weekend during the month of December they are offering cookies and drinks to their customers. So stop by, grab some coffee, and take a look at their exclusive jewelry designs! Prices start around Q325 and go up from there. If you happen to be in the Central Park while doing your shopping, visit Un Poco de Todo. 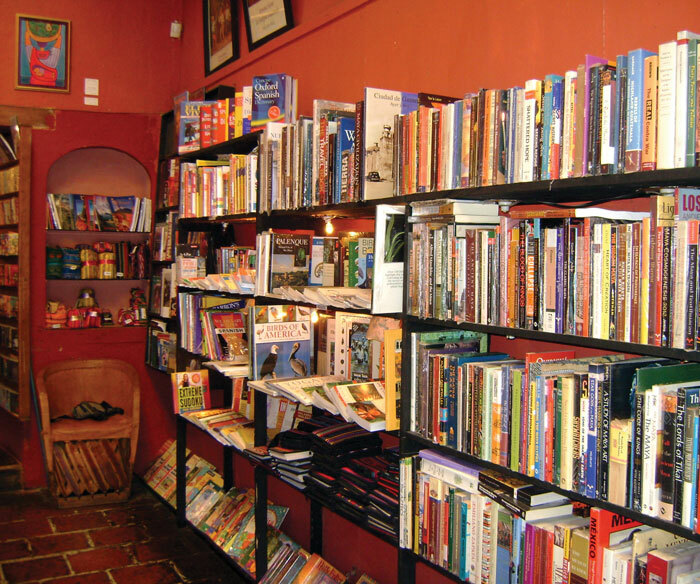 As the name suggests, they carry a little of everything—t-shirts, calendars, books, hats, music, postcards, original artwork, coffee… Their selection of cookbooks includes those written in both English and Spanish, so there’s something for everyone. And if there’s a wee little person on your shopping list, they also carry children’s books. Hardware stores aren’t just for nails and paint anymore. 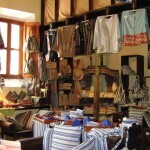 El Mástil is an excellent place to buy gifts for men and women alike. They carry a great selection of Victorinox merchandise, including flashlights and the extremely popular Swiss Army knives. And if you want to give the gift of life, they sell EcoFiltro water purifiers—what could be better than giving someone the benefit of clean drinkable water all year? If you can’t decide what to get, ask for Gabriel—he would be happy to offer you some suggestions. For the gardener on your list, Vivero La Escalonia is your one-stop shopping destination. Here you will find everything from house plants, trees, shrubs and flowers to gardening tools such as gloves and shovels. During the holidays they will be selling wreaths and poinsettias. They also offer a lovely assortment of pots, fountains, statues and bird feeders for those looking to beautify their yards. While shopping, take a break and enjoy a meal in their café. If you are stumped (bad pun?) and don’t know what to buy, they also offer gift certificates. 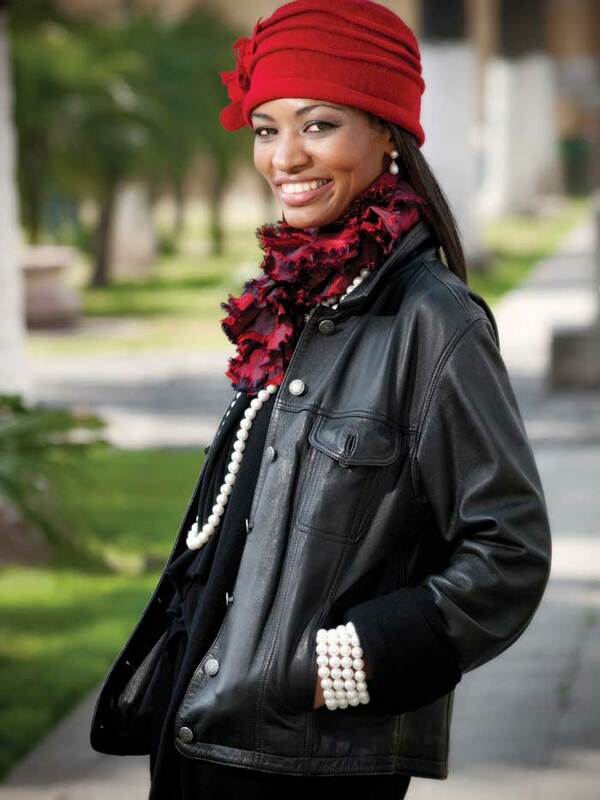 If there’s a fashionista on your list, go to B Fashion. 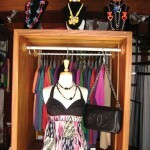 Their inventory of trendy blouses, skirts, pants, purses and jewelry includes items from Guatemala and the United States. Their selection of items is sure to please all styles. They are in the process of updating their store with winter items just in time for the holidays. Prices start at Q125. Looking for something special for the person who has everything? Look no further than Ritual. 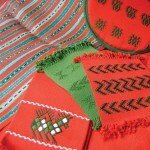 They pride themselves in selling uncommon items from India. 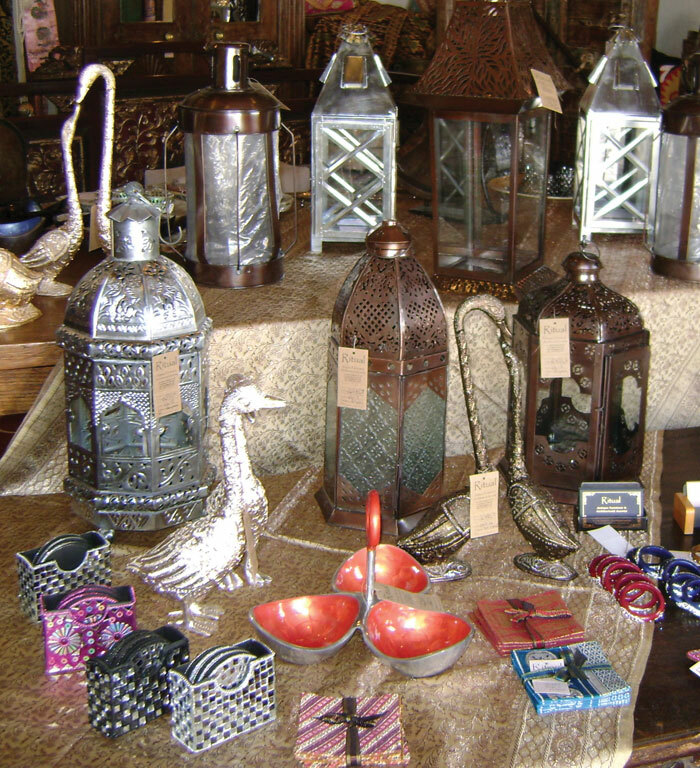 Their store is full of unique merchandise including statues, coasters, silver platters, furniture, decorative boxes, candle holders and even a sink basin lined entirely with mother-of-pearl. 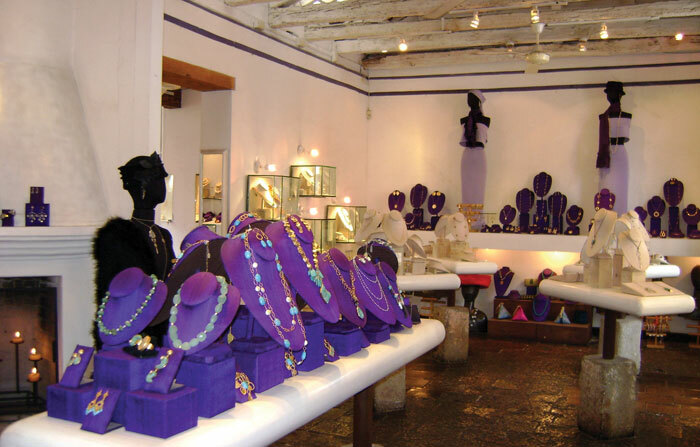 For a truly unique shopping experience, visit El Patio Antiques. 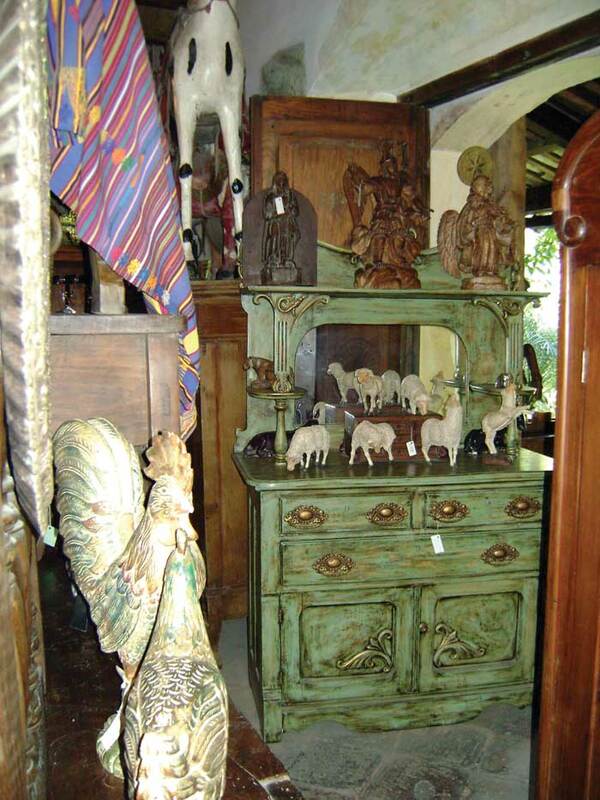 Their store is literally filled to the ceiling with one of a kind items including carved wooden doors, glassware, religious figures, silverware, furniture, paintings and statues. 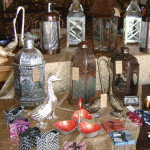 You will instantly feel younger as you walk among their stunning selection of antiques and vintage pieces. For those of you who want to buy gifts online, but are wary of the Guatemalan postal service, Aerocasillas is here to help. Basically, you buy something online and have it sent to their address in Florida and they in turn send it to their office in Guatemala. You can track your package the entire time and they handle all customs and logistical details, which offers you peace of mind. 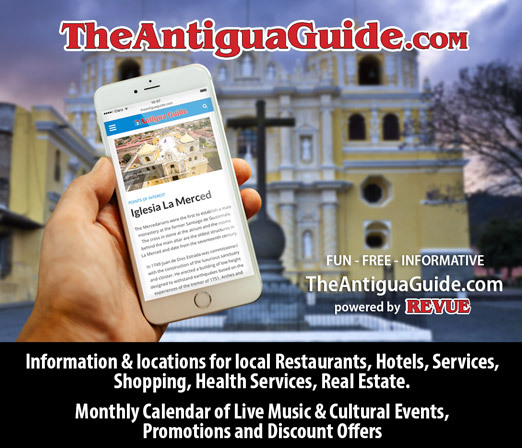 The Antigua office is located inside Monoloco. If you are still unsure of what to get, a gift certificate might be the best idea. For anyone who is overworked and overstressed, you can give them a day of pampering at a local spa. Know anyone with two left feet? Dance lessons might be the cure. A gift certificate to someone’s favorite restaurant would also be a great present. And if there’s a sportsperson on your list, a fishing excursion or a hiking trip might be just what they have always wanted. Ok, now that you’re inspired, make your list, check it twice, put on your walking shoes and get out there and shop. deberian de poner las direcciones de todos los lugares seguido de el mini articulo….algunos no estan en su directorio y es mas tedioso buscarlos. This info is really useful at any time of the year so you might consider how useful it would be to have all the adresseses of these stores avaiable somewhere in the article. Maybe have a link on each store’s name?